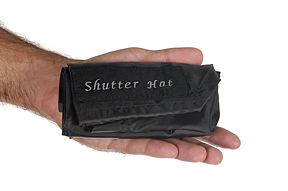 Camera access and ease of use is possible with the Shutter Hat attached. 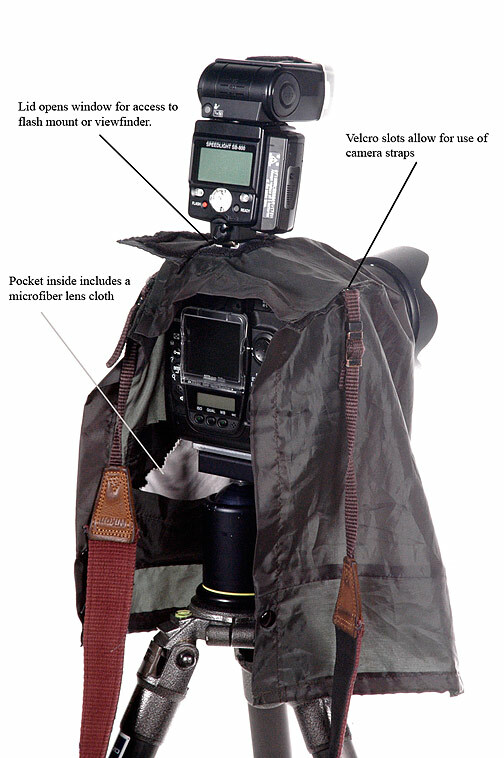 Perfect for light rain protection and spontaneous shooting. Landscape photographers, photojournalists, and travel photographers can now carry camera protection for inclement weather conditions. The Shutter Hat slips in your pocket or clips to your belt giving you a lightweight hassle free accessory that protects your camera during critical shooting situations. Toss the Shutter Hat in your camera bag, it's ready to go. Walking around town scouting photo opportunities during a drizzle is possible with the Shutter Hat. - The inside pocket is perfect for holding flash cards or batteries for quick access. - Fits lenses up to 8-inches in length! 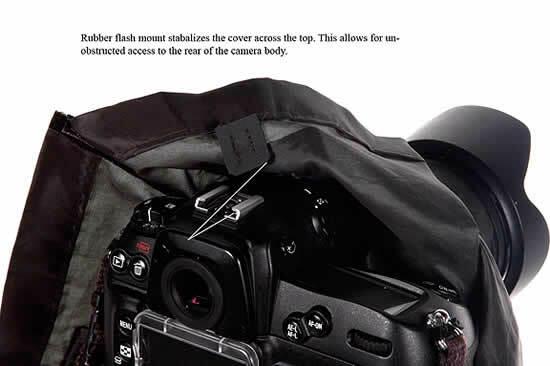 The rubber flash mount allows for a small brim over the back of the camera. This stabalizing feature allows for quick point and shoot access and still moderate coverage of the camera back. A second rubber mount further in allows for more complete coverage of the camera back.